The id ea of coaching a mentor, someone charged with the training and education of another, may seem to contradict the very idea of coaching. After all, isn’t the mentor the person who is supposed to be doing the coaching? Instead, think of all of us in the judge program as peers, as Riki mentioned last week. In a group of peers, a judge candidate can coach an L3 without being immediately dismissed as invalid. As it happens, not everyone buys into this notion. 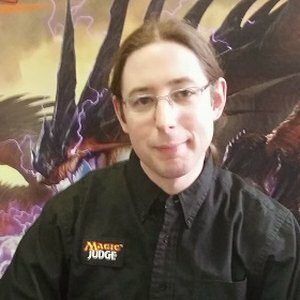 You are a recently-certified L2 working an SCG Regionals tournament with Jessica as your Head Judge. Jessica is a well-respected figure in the judge community who personally mentored you on your way to L2. You get appealed on a Game Rule Violation call where you decided not to back up. The players both want a backup, but you do not feel comfortable performing it given what is involved. You explain the situation to Jessica, as well as your reasoning for the ruling. When she arrives at the table, the players point out that one of them will gain a significant advantage without a backup. After a brief investigation, Jessica overturns your ruling and asks you to go through the backup with the players. After thanking the players for their patience and cooperation, she leaves the rest to you. You weren’t comfortable performing the backup in the first place, and now your Head Judge has told the players you are going to go through it. Put on the spot, you carefully stumble your way through. By the end of it you are reasonably confident you got everything right, but the players seem to lack confidence in you. You want to tell Jessica about how it would have been better to have performed the backup herself given the judge’s ruling that she overturned was not to perform it at all. Furthermore, you still aren’t confident the decision to back up was correct. Talking with Jessica about the situation will likely resolve your concerns and provide you with an opportunity to coach each other. Even when you have accepted the idea that all judges are peers, it can be difficult to deliver feedback to mentors. What are some common ideas that could be going through your head in this moment that would stop you from talking with Jessica about this, and how can you go about ensuring your coaching is delivered effectively? The following common hang-ups can block off a valuable avenue for feedback within the judge program. etc. than I, and therefore they must have a better idea than I do about what is correct,” is a great way to talk yourself out of having the conversation in the first place. Resist this hang-up by focusing on why you think differently. Remember where you got the ideas about when you shouldn’t perform a backup. If you are intimidated by the experience gap between you and this other judge, can you think of another, more-experienced judge you’ve worked with who handled something like this better? This thought process can help bolster your resolve that you have something of value to discuss. Taking the time to reinforce your own ideas will also make you better prepared to communicate them cohesively to the person you are coaching. 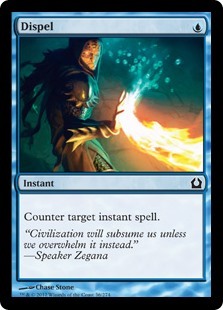 Let’s say in this case that the backup was because a Scour the Laboratory was cast for one fewer generic, because the player who cast it did not have enough open mana. After the Scour the Laboratory was cast, an Evolving Wilds had been activated. 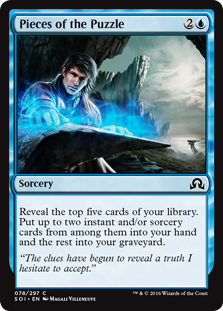 You probably did not want to back up here because putting cards back on top with the ability to shuffle them away before legally casting Scour the Laboratory is powerful. Remembering the “Brainstorm plus fetch” argument could help you push past the gut reaction that you are off base simply because a more-experienced judge ruled differently. Additionally, this parallel example will help you clarify your perspective with Jessica. Note that you may actually conclude that you are wrong over the course of this reflection. You should still have the discussion. If you realize you’re wrong, you’ve learned something. Or you might sort through the wrong reasons for self doubt and realize that your feedback was valid after all. Regardless, remember that you cannot actually be wrong about your own perspective. You were uncomfortable performing the backup. That is a fact, and one that, had Jessica realized it, would’ve likely lead to a better experience for everyone involved. Is that not worthy of coaching? What if they respond negatively or dismissively? Feedbacklash is quite real, and it is wise to anticipate a greater likelihood of receiving it in this situation. Why this is the case will no doubt be the subject of a future post, but suffice to say the same perceived gap that could be making you less inclined to give your feedback can also make a mentor less open to it. One suggestion is to use the Tai chi response when dealing with Feedbacklash. Tai chi teaches us to yield to and then gently redirect opposing energy to our purpose rather than meeting it head-on. In this context that means when someone pushes, you do not push back. Understand their push back, take a step back (“yielding” to it), then carefully move the conversation in a circle back to the intent behind your point. This process often flows as an accepting of some of their assertions, a calm explanation of your own position, and then a rationale behind delivering your original observation, with the original observation included. Just like when practicing Tai chi, it helps to move slowly here, and in this instance that means speaking slowly. Tensions can run high when someone Feedbacklashes, and you want to be the calming influence that steers the conversation in a positive and productive direction. You: I wanted to talk with you about that backup earlier. I am not convinced that a backup was the best solution there. I also felt uncomfortable doing it. When you left me there to handle executing the backup after overturning my ruling, that really put me on the spot. It may have been better for you to handle the execution yourself in light of this. Jessica: It seemed to me an easy enough process to step through. I’m surprised you weren’t comfortable doing it. I have definitely performed more difficult backups. And the players were happy with it, so what was the harm? It may not be obvious, but Jessica is pushing back here, leveraging her experience as a defense rather than engaging with your points. Take a step back (yield) and then return to your intent. You: I believe you have handled more difficult backups, and that is impressive. I apologize if it was not clear that I was uncomfortable doing this one. Going back through an Evolving Wilds, a shuffle, and a draw three is definitely beyond anything I’ve attempted before. Given your expertise in this area, wouldn’t you agree you would’ve been the better person to perform it? You first acknowledged and respected her experience. You then allowed yourself to be part of the “blame” for why the best solution might not have been reached. This costs you nothing while also reaffirming the shared value of being teammates with a shared responsibility to provide the best play experience. This was used to lead into your reasoning for avoiding the backup, pointing to the specific elements you felt were tricky. You concluded with a rationale for Jessica being the better person to handle this, inviting her to agree that her experience makes her the more-qualified choice. This is already somewhat touched on above. More specifically this is referring to a disagreement wherein the judge you are hypothetically coaching may provide insight as to why your suggestions might not apply in this situation. Or they may be missing something, a piece of the puzzle you have and will learn that they do not have. In either case this is a situation to be engaged, not avoided. Perhaps Jessica wanted you to handle this because she was aware that you did not have experience performing a backup as complicated as this one. She was actually observing how you handled it the entire time when you thought she had left. In this case, Jessica will disagree that she should have handled it herself precisely because her reason for having you handle it was to provide you with the opportunity for experience. Another possibility is that Jessica may have not realized that you were uncomfortable performing the backup. Her disagreement comes from a position of thinking it was not necessary for her to do it. As Head Judge she probably could have asked before delegating this responsibility to you and performed her role better. Now the coaching goes from talking about this specific situation to a bigger picture idea of what a Head Judge can do to ensure they understand the capabilities of their team to create a higher quality experience for everyone. Here it is important to zero in on the minutiae of the disagreement to determine who ends up being coached. Either way, one or both of you are going to be getting value from the conversation! In the second possibility posited above, the feedback you give shifts based on these details into something more-valuable and more specific to Jessica. Always engage. This is the recurring theme within each of the solutions described above. To reiterate, in each of these situations the conversation should still happen. It helps neither of you to allow a perceived gap between yourself and someone you view as more-experienced to prevent you from providing suggestions for their improvement. You may find yourself being the one coached, and that is okay. You may find that both of you learn something, and that is fantastic. Or you may find that you did have a valuable suggestion, and that your coaching was both warranted and effective. None of this happens if you do not initiate the conversation!